L-R, Researchers Nils Stenvig, Isabelle Snyder and Travis Smith are developing tools and deploying sensors to aid decision-making as Puerto Rico rebuilds and modernizes its power grid. GridEye sensors such as the one shown at top are being deployed in Puerto Rico to monitor the power grid state in real time and validate modeling and simulation tools developed by ORNL. A sample of the modeling tool developed at ORNL to help utilities modernize the protective hardware for their power grids. November 8, 2018 — As Puerto Rico works to restore and modernize its power grid after last year’s devastating hurricane season, researchers at Oak Ridge National Laboratory have stepped up to provide unique analysis, sensing and modeling tools to better inform decisions. The Department of Energy’s Office of Electricity has been working to help the island evaluate damage and identify opportunities to make the power grid more resilient to future disruption. The office issued a report in June, “Energy Resilience Solutions for the Puerto Rico Grid,” detailing recommendations to fortify infrastructure on the island. Researchers at ORNL and other DOE national laboratories were commissioned by the Office of Electricity to evaluate and analyze options and to offer tools as the effort proceeds. ORNL is working with other labs including Argonne National Laboratory, the National Renewable Energy Laboratory, Pacific Northwest National Laboratory and Sandia National Laboratories on simulations of the Puerto Rico transmission and distribution system for better planning, to assess interdependencies such as fuel availability and power generation options, on evaluating the use of distribution generation such as microgrids, and lastly, on sensor deployment for improved situational awareness. ORNL scientists and engineers immediately set to work constructing a model of the Puerto Rico grid as part of the project. Unique to the work was the creation of a planning model that automatically populates protective relay schemes to safeguard the flow of electricity. ORNL also is deploying state-of-the-art sensors on the island to monitor the grid state and validate the model’s accuracy. The Puerto Rico Electric Power Authority (PREPA) now has at its disposal an ORNL-developed Dynamic Protection-Planning Model that can be used to predict the dynamic behavior of the electrical system in the event of severe weather or other impacts. 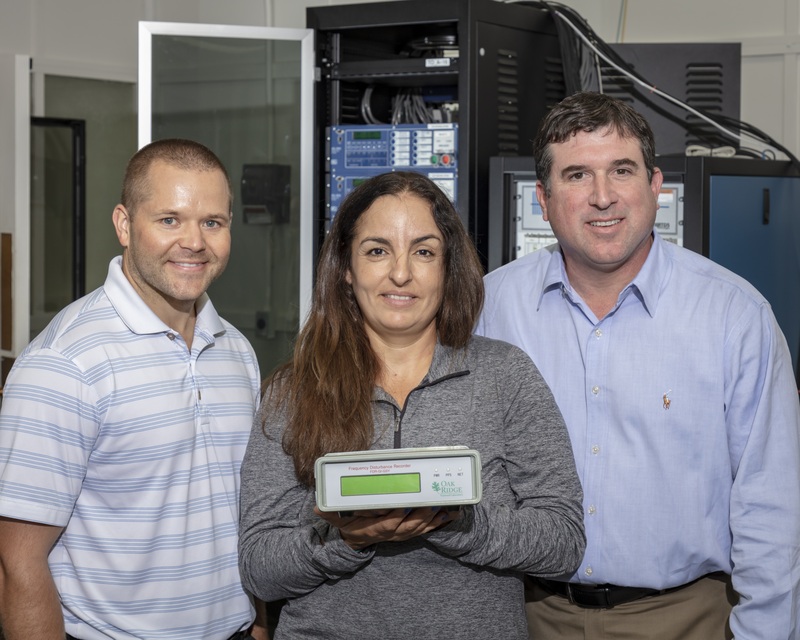 “The tool can take the projected path of a hurricane and immediately provide predictive analysis of how transmission equipment could be impacted,” said Nils Stenvig of ORNL’s Power and Energy Systems Group. Such information can be crucial for planning and recovery efforts. The tool is a first for the power industry, as it combines system planning models that utilities use to predict system behavior with detailed information about protective relay hardware. Protective relays control circuit breakers that isolate system disturbances and prevent their propagation—such as when a tree falls on a power line and triggers what operators call a fault. The resulting simulation provides a more realistic, complete, and accurate analysis of system events. The tool provides insight into protective relaying schemes and could yield suggestions for the siting of strategic infrastructure so that outages are minimized and do not cascade system-wide. For a power grid facing an immediate threat, the tool could support tasks such as predictive islanding: proactively isolating portions of the grid expected to be hit the hardest to keep as much of the system running as possible during a weather event, Stenvig noted. For Travis Smith, a protection system engineer with years of utility experience who now works in the PES Group at ORNL, the research is a personal calling. He previously developed advanced modeling tools for DOE that take into account protective relays and has expanded them for the Puerto Rico project. Another modeling tool being developed for Puerto Rico will analyze locations where new power generation can be sited and cost-effectively integrated into the grid. “This tool would tell you how much power you can inject into the system at different points without having to perform expensive upgrades. Sometimes those transmission system upgrades can end up costing more than the new generation itself,” Stenvig said. To help visualize the grid in Puerto Rico and validate modeling work, ORNL researchers are in the process of deploying 20 GridEye sensors that constantly monitor and report on the island’s grid state. These low-cost, easily installed sensors are plugged into standard 120-volt outlets and record real-time data on electrical disturbances using a patented triangulation algorithm. GridEye sensors, developed by University of Tennessee/ORNL Governor’s Chair scientist Yilu Liu, have already been deployed at hundreds of locations across the continental United States to provide wide-area situational awareness of the grid. The sensors are being located inside utility substations, universities, and commercial buildings in Puerto Rico. They are connected to the internet and synchronized with each other via a global positioning system to provide voltage, frequency, and other measurements, and to give essential accuracy to researchers’ models. The sensors “provide time-synchronized data on changes such as demand load fluctuations and generator drops at a much higher resolution than was possible previously on the utility system,” Liu said. “This is critical for model validation. It tells you how good the simulation is if you can compare it with real measurements.” The next phase of the work could involve the development of a tool that takes the GridEye data and provides automatic alerts to PREPA of any major system changes. ORNL is working in another area aimed at the island’s economic vitality by analyzing potential investments in microgrids for commercial and industrial customers. Made up of locally sited power generation and energy storage, microgrids have become increasingly popular to diversify a utility’s generation mix in terms of fuels and geography. The systems can provide power reliability to communities where they’re sited, and can even help stabilize the larger grid. 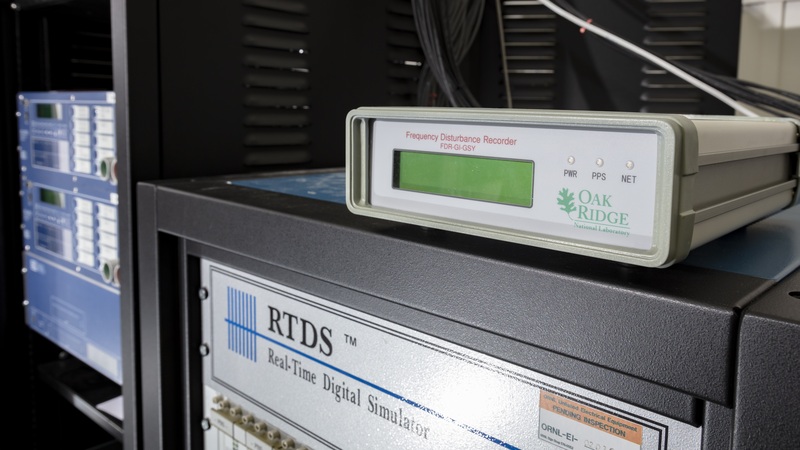 ORNL has conducted extensive research on microgrid communications and controls to maximize the performance of these systems. In work for Puerto Rico’s economic development authority, ORNL researchers are working with collaborators at Sandia to provide technical analysis of proposed microgrid projects for industrial corridors. This includes analysis and selection of sites around the island where industrial properties could most benefit from microgrids. Researchers take into account fuel availability, cost and reliability constraints, local geography, existing power infrastructure, and industrial tenants. “Microgrids would make a real impact on businesses across the island,” Stenvig said. “They could potentially supply power to surrounding neighborhoods as well.” He noted that after last fall’s hurricanes, some of the island’s business owners in rural areas turned themselves into humanitarian depots—helping distribute clean drinking water and providing shower facilities to local residents, for instance. As the work in these areas moves forward, the researchers continue to get feedback from the utility and economic development authority in order to improve the tools. The capabilities being developed to improve energy systems in the island territory could provide a platform for grid improvements industry-wide in the future, the researchers noted. The research “fits into everything we do here at ORNL in terms of materials science, sensing, electronics, simulation, high-performance computing, and cyber-physical security,” Smith added. ORNL researchers are also conceiving ideas to harden the grid physically with potential designs for a more flexible system of utility poles, for instance, that could bend rather than break in high winds or could be safely collapsed ahead of a storm and then unfolded afterwards to protect power lines. The lab’s expertise and capabilities in additive manufacturing could be leveraged to more quickly design and produce these improvements.